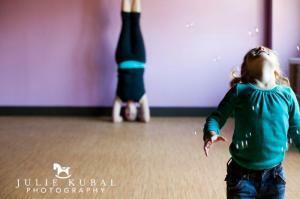 I had kept meaning to check out Kate Loewengart’s class at Rivertown Mamas for mom and baby. Since I have had my son, I find scheduling to be a bit challenging. One day, however, the stars aligned and I was able to attend. 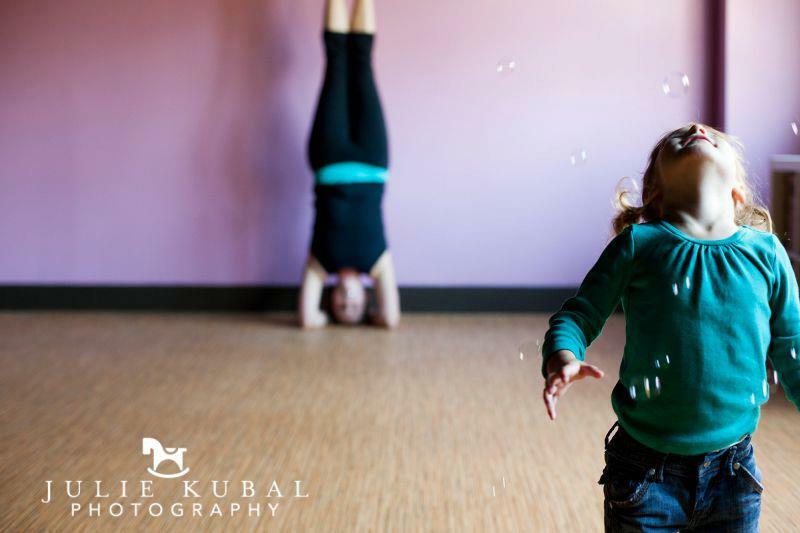 Kate offers a wonderful selection of different classes, whether you are pregnant or have a newborn, or even an active toddler. The class I was able to attend was MamaYoga Playdate. It was a yoga class, a place for my son to play (or run around), and a chance to connect with other moms. It was perfect! Kate not only is a wonderful and experienced teacher, but she is also real because she knows what it’s like to have a family with young children. She has a great sense of humor and you feel welcome the moment you arrive. I really resonated with how she responded to my questions. I am excited to share this interview with Kate. If you find the scheduling works, check out one of her many class offerings. You and your little one will be happy you did! How did you decide to start MamaYoga with Kate? Because moms need yoga! I had been fortunate enough to discover my practice as a parent at the wonderful, amazing and family-friendly Lil Omm Yoga in Washington DC. We lived there for 5 years, and it opened right around the time I had my daughter. I started helping out with childcare, with community outreach (using my skills as a former Creative Director) and then became certified to teach yoga through YogaWorks. Everything about my time and experience at Lil Omm was magical and always seemed meant-to-be. But perhaps the most important thing I learned from it was that as parents, we need to create space to just be as we are, to sit with it, to explore it. When we moved here with a 31/2 year old and I was 5 months pregnant, I didn’t find anything like it. I was lucky enough to meet Stephanie who was opening Rivertown Mamas at the time, and we both agreed this was the perfect place to create space for mamas to practice on their own or with their little ones as they discovered what being a parent meant to them. What was one of the challenges as being a new mama for you? What ISN’T challenging about being a new parent?! I think I once wrote, “It was like I had all my priorities together in a bucket, and then someone dumped them out on the kitchen floor.” I think as women in today’s world, we are taught we can do anything, be anything, accomplish anything – but then we are thrown into a traditional role simply by the act of becoming a mother. Wrestling with what that means to you and your relationship with your partner is only the tip of the iceberg. I had very distinct challenges with both my children. With my first, we were living in a city were I only knew people though my job in advertising, and once I decided not to go back to my job, I had to start over from square one with a baby who never slept (I’m not joking – we didn’t sleep through the night until she was 18 months old). We also lived far from family, so we had to create our own support system. With my second, we were somewhere new and had left so much behind – a community I knew would have supported me during this incredibly hard transition. So I had emotions of loneliness, loss, sadness that were both separate and intertwined with having a baby. How can yoga help pregnant and new mamas? There are tons of studies, books and DVDs that promise many things. But for me, it is one of the only ways I know how to create space to just BE in my own body and mind. Yoga allows us to be softer to ourselves, to forgive ourselves and make time for that to happen. In my classes, we explore what we are in this moment, in this day, and how to quiet our overactive minds. During prenatal and postpartum, you can explore all the changes and understand them better. Not to mention yoga eases anxiety, offers relief from many physical issues, can give you tools for birth and labor, and help you reconnect with your body and your baby after childbirth. For many moms in my classes, they simply like being able to move again in a place that is safe, supported and open to whatever the day – or baby – brings. What piece of advice can you give to new mamas? ASK FOR HELP. Underline that. Bold it. Shout it to yourself! This means asking your friend who wants to stop by to bring dinner or telling your aunt who comes to see the baby to do the laundry. It also means telling others if you feel overwhelmed, anxious or depressed. We are taught asking for help is a weakness, but it is anything but. Asking for help means you are strong, brave and know what you need to be the best you. Be fierce! As a mom, it is so important to find the support you need – your whole family will thrive when mama is getting the care she needs. I am fortunate enough to make my own schedule, and work mostly in family-focused settings that are well…family-friendly. This was by design. After I had my first, my job pretty much expected that I put my family aside and I vowed to find my own path. I freelanced and now work for myself, which has so many challenges but I am fortunate enough to have the option for this kind of work and for connecting with people who support me in creating this kind of work. I am truly in awe of parents who work full-time in office settings that are always making demands that effect their families – these are the parents that make it look easy and are STILL there for their little ones in the middle of the night just like the rest of us. There are times when I wish I had that train ride to stare out the window, or an office where I could just close the door. I think whatever setting your work takes place in, the important part is setting boundaries that feel right for you. If you are good at your job or if you are a good parent – missing a meeting or a school sing-along won’t make or break your family or career. It’s so important our children know us as people who have responsibilities, commitments and also screw up from time to time and forget it’s snack week. It allows them to also have flaws and share them and laugh at them. Every moment is an opportunity to be a better person and a better parent. What is one of the greatest joys of being a mama? Running around on our front lawn without shoes on at 11am on a Tuesday. Watching my little ones be kind to each other. Morning cuddles with the whole family in bed. When my daughter makes a choice to be kind to someone else without anyone asking her to, or my son gives me a kiss for no reason. Realizing your are raising people, and our job is just to help them be the best people they can be. What is one of your hardest challenges about being a mama? How long is your blog? Ha! This is the hardest job I have ever had – and I spend my days working with new moms and young families. Recently, I have found connecting with other people when you aren’t your best self (no sleep, cranky kid pulling at your shirt, late to pick someone up) is challenging. So is finding the balance between being a fun parent and a good one. Not losing my s&*t when my children do something I have told them 12 times not to do. Taking time outs for ME. Being present for my husband, who always gets the short end of the stick when it comes to my energy and attention. Oh, and figuring out what I’m doing with the rest of my life…sound familiar? A History major, a sommelier, a copywriter and creative director, Kate Loewengart never found her true passion until she began working with families on and off the mat. She now teaches creative yoga and parent/child programs throughout the Rivertowns, combining her in-depth training as a yoga teacher, her experience as a parent, and the belief that together, we can shape communities to help families thrive. 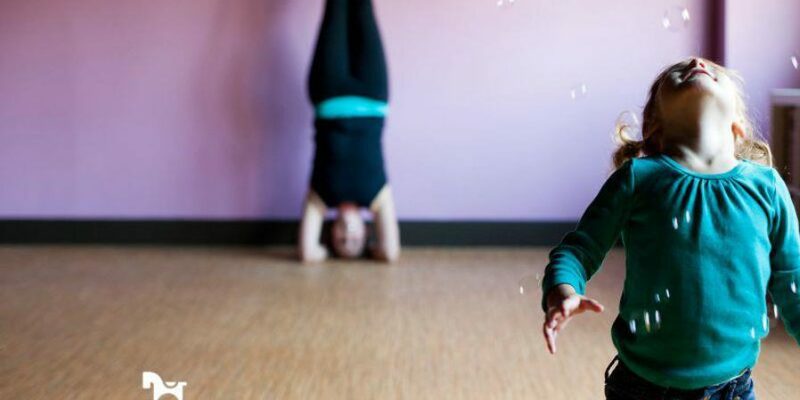 In addition to her line-up of unique family-focused yoga classes, this fall she will also lead a Mindful Parenting Group at Rivertown Mamas and teach the “U2” program at Temple Beth Shalom in Hastings on Hudson (a “Mom & Me” style class open to all children moving through age 2).